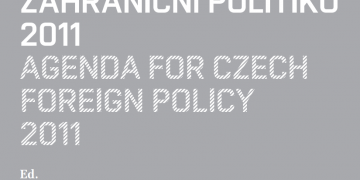 AMO Research Fellows evaluate foreign policy of the Czech Republic in 2014 and give particular policy recommendations for 2015. 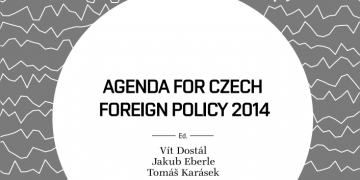 Czech diplomacy in 2014 was marked with C, in the same way as in 2012 and 2013. 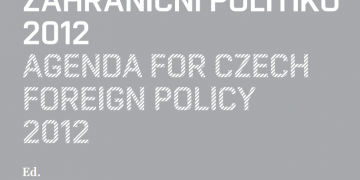 Major topics in 2014 were the response to events in Ukraine and related threats to European security, the change in the course of Czech European policy and relations with neighbouring countries. 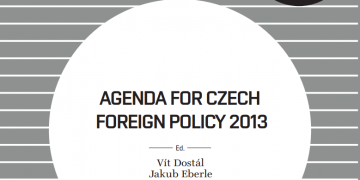 “The year 2014 was one of the most dramatic years in international politics since the end of the Cold War and it became patently clear that the idea that major international issues did not concern the Czech Republic was a delusion. Russia’s aggressive policy leading to the annexation of Crimea and the asymmetric war in eastern Ukraine, together with the rise of the Islamic State and the record waves of refugees at EU borders, meant that the main challenges for Czech society were no longer merely economic prosperity or the fight against corruption. As Minister Zaorálek aptly put it, the hour of diplomacy had arrived, and the future of Czech society was closely tied to foreign policy,” write the editors Vít Dostál and Jakub Eberle in the opening chapter. Czech Republic will take over the Presidency of the Visegrad Group and will thus have a unique opportunity to strengthen this vital Central European format. Conceptual documents, which should off er clear insight into the new government’s foreign policy thinking also await completion.